Marriage licences can be purchased from a municipal, city or county registration office. Here you will get an application form to take home and complete. Once you have filled it out, you return to the same office with the completed form and the identification for yourself and your spouse-to-be, pay the fee and you will receive your marriage licence. If you are getting married out of province or out of the country you have further work to do. If you’re getting married in another province you need to check with the Vital Statistics Office (eg. Vital Statistics New Brunswick) of the province you’re getting married in to ensure that an Ontario Marriage licence is valid there, otherwise after spending all that time and money you might find out that you’re not legally wedded. If you’re getting married in another country you need to check with the Canadian representative of that country (Canadian Foreign Embassy), to see if the marriage licence is valid in that country. If the licence isn’t, you will have to have a legally binding wedding in Canada before you say “I do” somewhere else. You can download the PDF marriage application here. 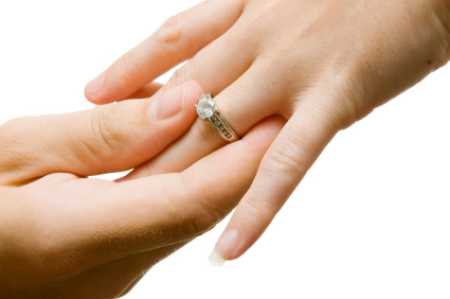 The current fee for a marriage licence as of February 2014 is $125.00, the Peterborough City Hall only accepts cash, debit, Visa or MasterCard for licences. Cheques are not accepted.